Often referred to using the slightly outdated term of ‘fuse-box’, a consumer unit is essentially the main control centre for a home’s electrical supply. It’s something nearly everyone can recognize but which fewer people can name and far fewer actually work. A bit of a shame since consumer units are both important and relatively easy to understand. To break it down simply, the consumer unit is found at the point where the electrical supply enters your property from the electricity meter. It distributes that power throughout the property, and its key components – main switches, residual current devices (RCDs), and circuit breakers – can be, according to the component, either manually or automatically shut off to protect you and your property from injury or damage. When something causes a RCD or circuit breaker to turn off automatically, that component will have been said to have ‘tripped’. By the time you’re finished reading, you should have developed a healthy respect for the protection supplied by a consumer unit and a strong understanding of their basic operation and layout. The role of a consumer unit is easy enough to grasp – as stated above, it controls the electrical supply throughout a single residential property. To understand how it performs that role, you really need to explore the individual roles of its three major components: the main switch, residual current devices, and circuit breakers. The main switch is just what it sounds like – the central switch controlling the supply of mains electricity from the meter to the consumer unit and subsequently through to the rest of your home. While RCDs and circuits are usually tripped automatically, a mains switch is going to be switched on and off manually. If you want to conduct a piece of electrical repair or are going through an emergency situation, you’ll be turning off the consumer unit’s main switch. When you turn the mains switch off, both the incoming live and the incoming neutral power will be separated from the rest of the unit – essentially, you’ll have isolated your consumer unit, and therefore the property itself, from the mains electricity supply. 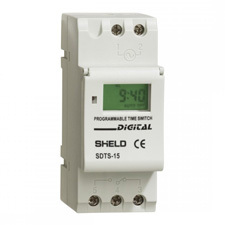 RCDs are switches that constantly monitor the electrical currents in your home. As a general rule of thumb, you’ll find your circuits split into two sets, with one RCD controlling each one; when one of those RCDs is tripped, all the circuits that it controls will be turned off. In the ever-popular Wylex consumer unit, the first RCD is next to the main switches and the second is about halfway between all the circuits. Most other consumer unit manufacturers follow that layout, although it isn’t written in stone. When an RCD does switch itself off, it’s usually to prevent any electric shock or personal injury. As such, most RCDs are quite sensitive, rated at 30 milliamps – above that level, the electric current becomes dangerous to humans. Let’s say you touch a live wire. The electricity will flow through an unintended path – namely your body. That change will be detected by the RCD, which will then trip and turn off the circuit, dramatically reducing the risk of serious injury or death. 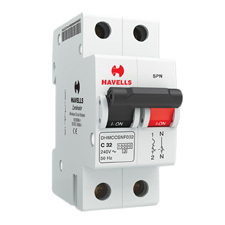 An RCD also provides protection against electrical fires caused by earth faults. If earth leakage is detected, the RCD will trip before the level of leakage becomes dangerous. 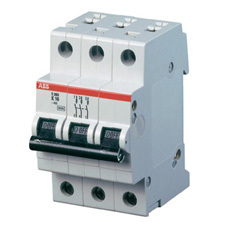 Circuit breakers can be thought of as similar to RCDs since they are safety switches that turn themselves off automatically to protect electrical circuits from damage. However, they are more specialised in that they control specific sections of your home. For example, you may have an individual circuit breaker covering ‘spare bathroom’, ‘downstairs toilet’, and ‘garage’, so your consumer unit will contain quite a number of individual circuits. Overload: If you have too many items plugged into the same circuit, the total load can become higher than the MCB’s rating, in which case the circuit will be tripped. Overcurrent: Covers faults with the circuit itself. For example, if a live cable gets loose in the back of a socket and touches the neutral wire, the circuit will be tripped. If your consumer unit doesn’t use those components, it is almost certainly an older model that is no longer up to code. One sure-fire way to know whether you need to upgrade is to check whether you have rewireable fuses – if so, you need a new unit. Bus Bar: Your consumer unit’s bus bar will probably look a little bit like a copper comb – it’s a section of metal with raised teeth onto which MCBs, RCDs and RCBOs can be mounted for connection to the main Din Rail. Each pole will generally carry up to 120 volts of electricity, and they allow sufficient cooling of each unit by spacing them out. Two-pole RCBO: An RCBO (Residual Current Circuit Breaker) basically combines the functions of a MCB and a RCD. Two-pole, or double-pole, RCBOs are rated for 20 to 60 amps and supply 240-volt power to larger appliances, such as ovens. They take up two bus bar slots inside your unit. Single Pole Breakers: Rated at 15, 20, and 30 amps to supply 120-volt power, these are more common in household installations, providing power distribution for smaller appliances, sockets, and light fixtures. Socket Outlet: A socket is simply an input for a plug that is attached to a wall and connected to your power supply. Every socket outlet in your home will run to one of the circuits in your consumer unit. Main Panel: The main panel covers all the internal components of your consumer unit. They are usually made from a thin sheet of metal, although they may have transparent plastic sections to let you view the switches without actually opening the unit. Commercial panels are often lockable, but this is rarely necessary for residential properties. In any case, a panel should be kept closed to prevent dust and moisture getting into the switches. Damaged or dented panels should be replaced since they may be difficult to open during an emergency and could strike against switches when closed. You should now have a good working understanding of what consumer units do, how they work, and what components they use in the process. Now you understand that, you need to learn how to use your consumer unit. It’s not a part of your home that will need frequent adjustment, but you should test your consumer unit regularly and understand how to use some of its features. Here’s a quick overview to cover the basics needed by the average homeowner. Not all consumer units have inbuilt timers, but they’re becoming increasingly popular additions. If you don’t have a consumer unit with a timer inbuilt, keep in mind that you can simply have one fitted along the DIN rail instead of replacing the entire unit – it’s possible to do this yourself, though the exact instructions will vary by unit, and it’s generally recommended that you let a professional take care of the task. Timers allow you to turn off certain circuits at set intervals. If you’re going on holiday and want to have your lights turned on and off at set times, a consumer unit timer is a convenient option. Simply set the time and leave your unit to do the rest. When you pick up a timer, make sure you check whether it’s a 7-day model or a 24-hour model. The main switch works manually, turning off the electricity supply to your home in one fell swoop. All you need to do is open the consumer unit, find the main switch, and then turn it off or on – it will not perform either action automatically. One thing to remember is that your home may possibly have one mains switch in a separate consumer unit. This is only likely if you have a larger external unit that consumes a lot of energy, but it’s worth keeping in mind. It’s just one reason why you should always test that the power has been shut off after you’ve deactivated the main switch. RCDs will trip automatically, turning off the electricity for all circuits they control. If the electricity in your home goes off, look in the consumer unit and you’ll generally find that one of the RCDs has been tripped. You may also find that a MCB has been tripped. You’ll also need to test the RCD every month to make sure it’s working perfectly. Next to the switch will be a simple push button. Pushing it will create an earth leak that should trip the RCD; if it doesn’t, you need to contact a professional. Remember to test each RCD independently. Like RCDs, a MCB will usually be tripped off automatically. You may overload a light fixture in your bedroom and find that only the electricity in that one room has been turned off – such cases are caused by a single MCB being tripped. You can simply reset the switch to get things back to normal. If that switch turns right back off, contact a professional. 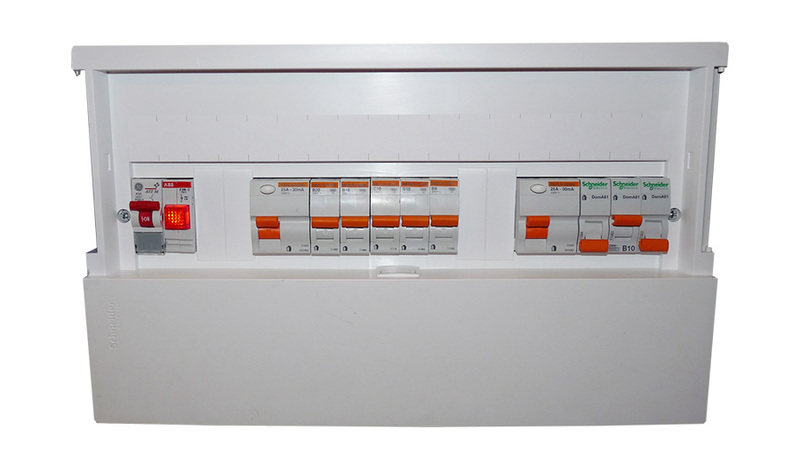 Split Load Consumer Units: A split load board is supplied with a main switch and RCD, with the MCBs on the RCD side and the RCBOs on the main switch side. Garage Consumer Units: These are usually simply smaller consumer units. Some properties will have separate consumer units for their garages, sheds, or any other exterior buildings. If this is the case, those rooms and buildings won’t require the typical larger unit, instead taking something more compact. They are normally between 2 and 5 way units. Fully Loaded Consumer Units: These come with two RCDs and a full complement of MCBs, creating between 10 and 15 usable ways. They do not provide a very effective separation of circuits, so, despite being quite cost effective, they are not used very often. 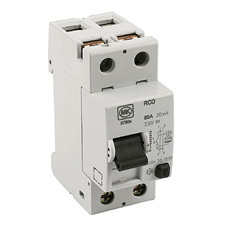 RCD Protection Consumer Dual Split-Load: Arranges circuits in two main sets controlled by separate RCDs. For example, RCD 1 may control everything upstairs and RCD 2 may control everything upstairs. Such alternations are useful since you will always have power available on one floor if either of the RCDs is tripped. 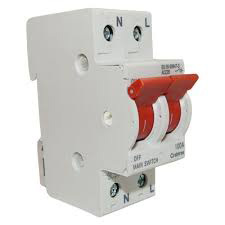 Domestic Switch Fuse: Designed for extremely easy installation, a domestic switch fuse connects with the sub-mains or any system extensions, providing what you might think of as a secondary main switch. They’re basically smaller consumer units that control one small area, and they usually only have one circuit inside. They are rarely used in residential properties. You may also find yourself choosing between several consumer units made by different manufacturers. There are a few options out there, but you’re almost certainly going to come down to selecting a Wylex or a Hager. 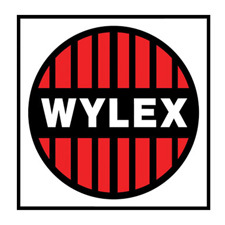 Wylex certainly boasts a superior lineage; they introduced the first ever consumer unit in 1897. Things have obviously changed a little since then, and Wylex has been at the forefront of that change. A policy of continuous design improvement means that they now produce a vast and diverse range of residential, commercial, and industrial consumer units, and they’re still the industry’s leading name. 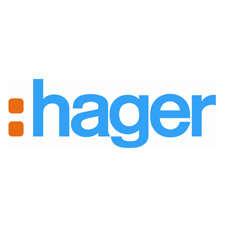 Hager are a newer brand, and they produce a smaller selection of products. Like Wylex consumer units, you can expect Hager consumer units to comply with all regulations, and they’re just as effective and reliable. Some people find Hager consumer units a little more attractive, but there’s really very little to separate the two manufacturers. Nine times out of ten, you should simply cede to the advice of a qualified electrician. They’ll know the ins and outs of various makes and models, possessing the experience needed to recommend the best consumer unit to meet your needs. All the cables and connections in your consumer unit need to be checked and tested by a qualified electrician, and you should not remove or replace your unit if you are not qualified to proper regulatory standards. That said, the basics of installation can be handy to learn if you need to identify any problems, and it always helps qualified professionals to have something to turn to. Firstly, make sure you disconnect the power supply, then review the following simple diagram outlining the basic setup of a split load board and take heed of the following basic instructions for connections. The mains double pole isolating switch is clipped into place along the DIN bar using separate teeth of the bus bar. The MCBs are then inserted themselves, and the bus bar is then placed into the live terminal at the bottom, thereby providing a live feed to all the MCBs and to all the circuits across your property that they control. The live and neutral wires come into the main double pole switch from your electricity meter. Taken together, these two cables are referred to as ‘tails’; their size will vary, which is just one reason why it should be considered so important for consumer units to be fitted by professional electricians. The earth cable also extends from the meter, but this cable will be screwed into the earth terminal block as opposed to the mains switch. A circuit cable can then be introduced to the consumer unit. The live cable is fixed into the top of an MCB, while the neutral cable is screwed into the RCD neutral terminal block. The earth cable is then fed into the consumer unit and connected up to the appropriate MCB. Again, it must be stressed that these instructions should only be followed by a certified electrician. Trying to install or rewire your own consumer unit without proper certification is not a step you can take; beyond the legal ramifications, you will put yourself at risk of shock and possibly put your property in danger by accidently removing proper safeguards. Consumer units are a small part of a residential property, and one that is seldom noticed until the electricity mysteriously turns off. Armed with the information provided above, you’ll now be able to diagnose the problem and probably sort it out by yourself without needing to call on the services of a professional. Of course, you’ll also understand when a certified electrician needs to be contacted and why performing certain consumer unit jobs yourself is more than a little unwise. All in all, consider yourself more caught up concerning the consumer unit than nine out of ten people out there.